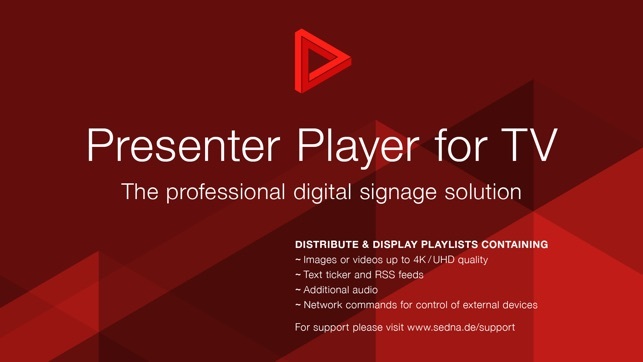 IMPORTANT NOTE: Presenter Player 4.5 can only be used together with the ~sedna presenter software suite. 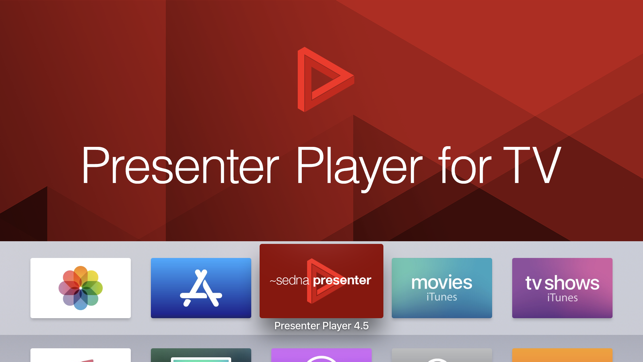 Presenter Player 4.5 is a digital signage playout app designed to work with the award-winning ~sedna presenter software suite. 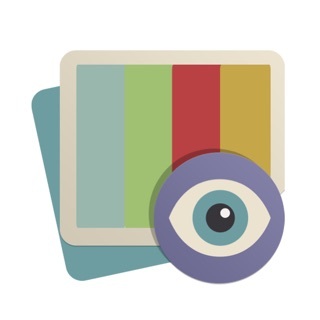 The app is ideal for room displays, retail settings, POI, and POS and puts your digital signage content on your TV. Perfect for any conference room, restaurant, bar, retail shop, doctor's office and the like. The app has an integrated presentation mode with great potential for a variety of situations. Connect it to a TV set, projector or professional display and let it play out your content, pick up the remote control for a presentation, and return it to its signage function when youre done. All with a clicks and swipes. 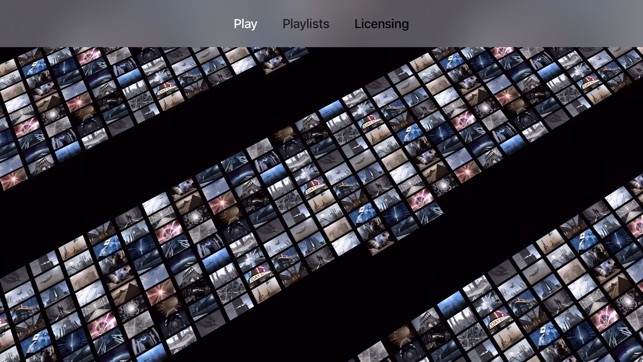 The app supports one content layer, one additional audio layer one text ticker layer with RSS feed capabilities and can play back projects with images, videos. 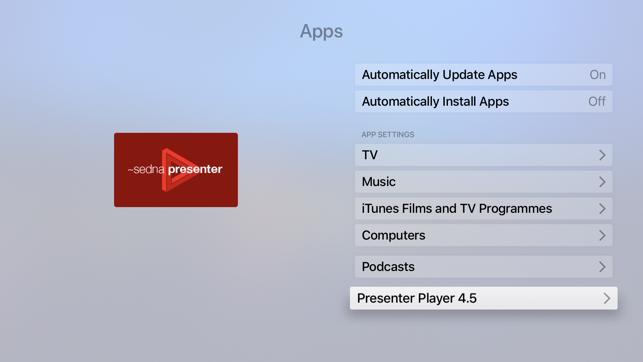 It also supports sending network messages so you can control any network device with your playlist, e.g. lights, shades, HVAC and so forth. The possibilites are endless.